I recently had the opportunity to collaborate with one of my favorites from the internet, Brooke. 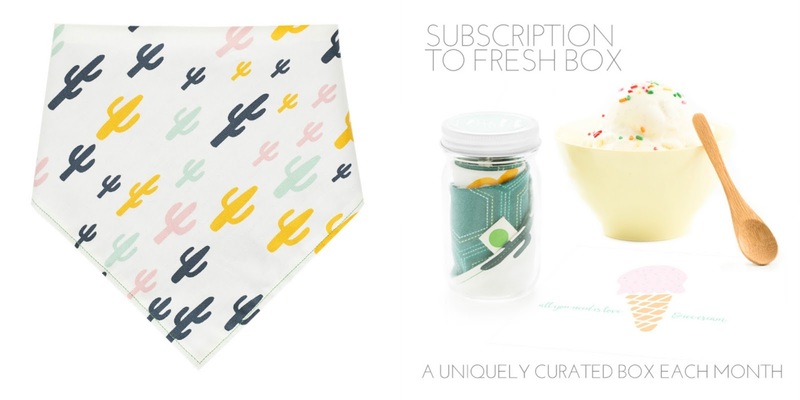 She and her hubby run Fresh BiB, a fun spin on a subscription service + one stop baby gift shop. It's such a unique idea and I can vouch, first hand, that they are packaged adorably (and sustainably) and the bibs are incredible quality. They want moms to feel special and receive something that is exciting and fun. I love that. My favorite detail? The bibs are made with green thread and snaps to remind mamas that every day is a fresh new start - something that I need to be reminded of every second of every day. So, for our collaboration, I picked the cactus fabric ((HEART EYES)) and she picked the contrasting reverse fabric for the other side. It's unisex (holla) and just TOO cute to handle. The July subscription box includes my go-to vanilla ice cream recipe and a fun bamboo spoon. "Brooke and Adam are fully aware that a monthly bib subscriptiion can't solve sleep deprivation, take the 3 am feeding shift or change diapers - but, Fresh BiB can remove the need to spend countless hours searching for cool bibs online, provide a dose of fun every month and give you back a little of your day by protecting your child's clothes from stains and drool. Grab your Fresh BiB and get on with mommyhood. Adventure awaits." Do you follow @ohsweetjoy on instagram? Stay tuned for a giveaway later this week where TWO winners will win a Fresh box. 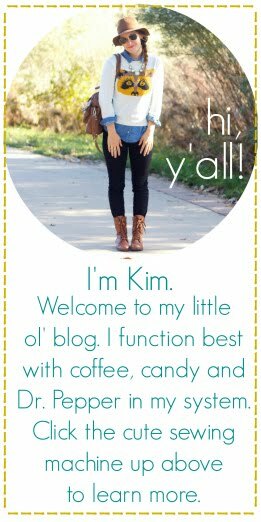 Grab your bibs, paci clips and more here or subscription box here! You can also read a little interview with yours truly riiiiight over here.